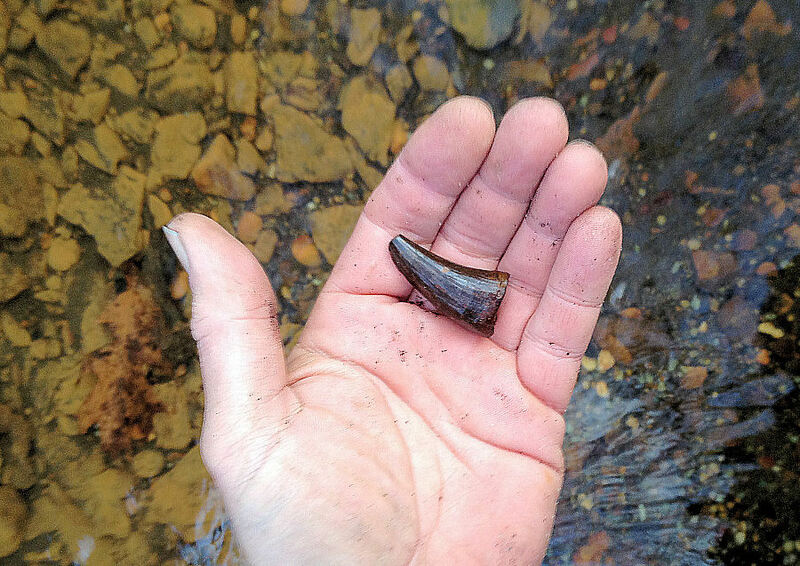 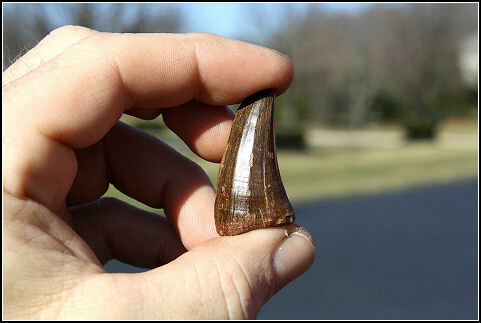 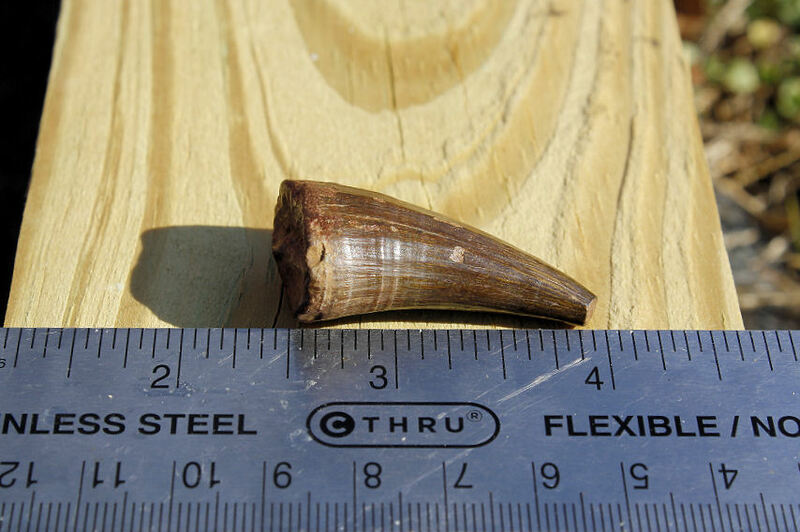 A couple of back to back days collecting with my oldest son produced this mosasaur tooth. 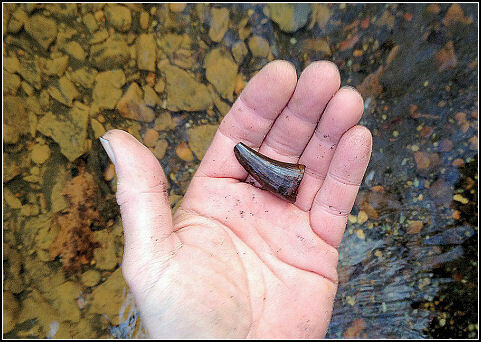 It was half buried in a gravel bar but its size and the winter sunshine reflecting off the enamel made it hard to miss. My best mosasaur tooth so far.